The LCA Tejas has completed hot and high & winter trials, including cold soak starting tests of its engine and ensuing flight performance. The success of the January 2015 tests allows the flight team to heave a sigh of relief given that there had been trepidation about full load trials at high altitude. 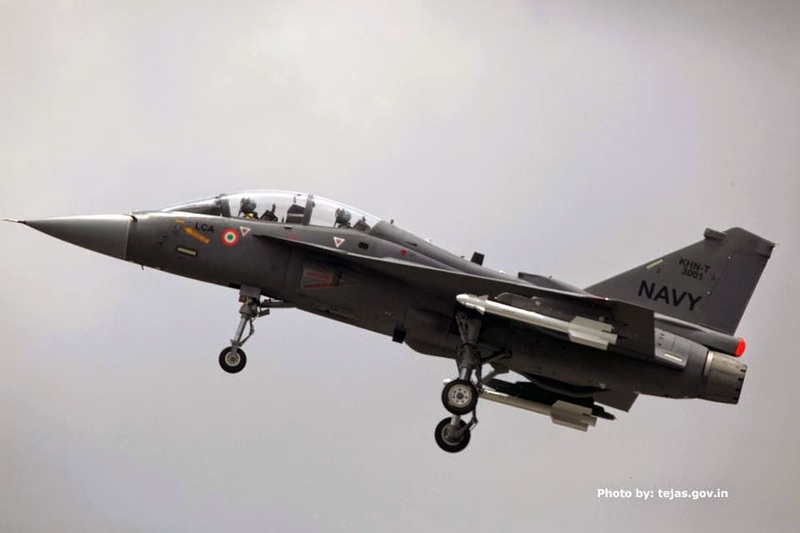 According to ADA, with three consecutive start-ups of its engine after overnight soak in extreme cold (around -15ÂºC) conditions of Ladakh, that too without any external assistance, Tejas, the Indian Light Combat Aircraft has achieved yet another rare distinction. Starting the fighter aircraft under such extreme condition without any external assistance or heating is a technology breakthrough. The requirements become further stringent when the starting is to be done three times consecutively with a partially charged battery. Team LCA led by AERD&C of HAL, and members from ADA, NFTC, IAF, CEMILAC and DGAQA have succeeded in achieving this. The look and feel of the all-glass cockpit that the LCA Tejas Mk.2 will sport is fructifying with the Aeronautical Development Agency announcing that the main display will involve two 6Ã—8 Smart MFDs and one 5Ã—5 smart MFD in centre console â€œbased on the latest and best design technologies currently available in the market. The ADA is looking for a full solution to its SMFD needs for the LCA Mk.2 programme. The capability exists in country, though a competitive process will now ensue. The ADA is looking for active matrix TFT color liquid crystal display SMFDs with separate LED backlight for day and night modes with redundancy for backlighting in both the modes, touch screen capability (will be the first Indian aircraft to sport touch screen panels), anti-reflection coating, full sun readability and night vision capability, compatibility as per NVIS Class B MIL-STD-3009B, EMI protectio, the bezel shall have push buttons, rocker switches and rotary knobs, auto brightness control (ABC) of the display using illumination sensors placed on bezel, capability for windowed image overlay driven by the display processors, dual channel video to support redundant display processors, continuous health monitoring with periodic built-in-test reporting along with its normal operation, provision for operator Initiated Built-In-Test, In-situ programming capability. Conduction Cooled with no external cooling for the entire range of operating temperature.